Consumers waste significant time, money and energy navigating the purchase or sale of used vehicles and are tired of dealers pestering them – sometimes months after leaving the marketplace. And, due to the unprecedented number of vehicle safety recalls, consumers are at serious risk of injury and/or death. Automobile Dealers are looking to access the private-party marketplace to source inventory, but find it mostly unreceptive and difficult to navigate. They also want to break away from expensive, diluted, low close-ratio lead generator services that pit dealers against each other for the same lead. Additionally, vehicle safety recalls are at an all-time high. With more than 60 million vehicles recalled in 2014, dealerships are coming under fire from consumer groups and state attorneys – for selling vehicles with open recalls. Dealers put consumers at serious risk of injury and/or death and themselves in serious jeopardy of liability, when they sell vehicles with unrepaired safety recalls. Lenders (Credit Unions and Community banks) have lost new-vehicle financing to captives (OEM financing arms) and are currently cut-out of national marketplace lending solutions (ex: AutoTrader). They are also looking for new loan revenue and to stop member loan leakage. 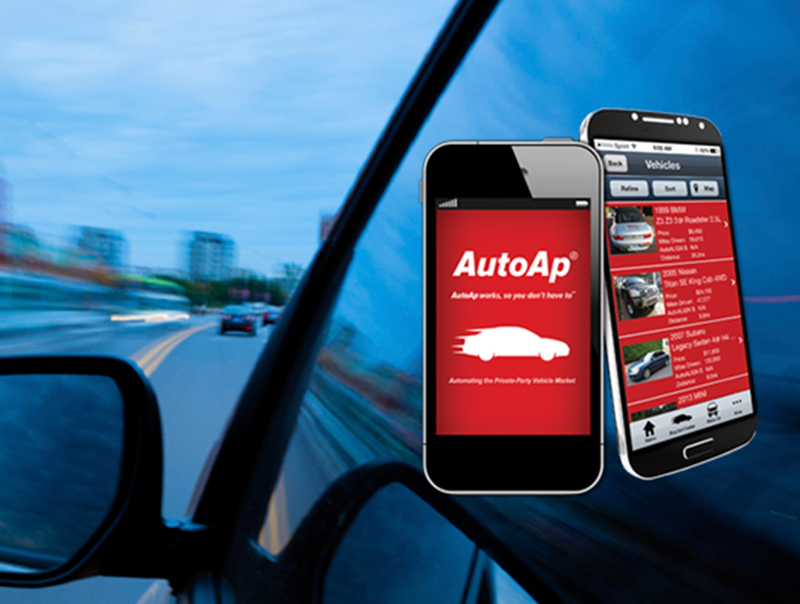 AutoAp’s mobile app reduces current market limitations and inefficiencies by leveraging mobile capabilities; proprietary vehicle matching technology and other unique IP, and by enabling self-select consumer to dealer and lender connections from within the app at the Consumer point of need. With vehicle safety recalls affecting more than 25% of all U.S.-registered vehicles, the app integrates safety recall alerts. AutoAp’s Dynamic Recall Managementsm service provides auto retailers with a dynamic way to verify the safety recall status of their vehicle inventory and reduce risks associated with selling vehicles with open safety recalls. Consumers get a fully mobilized, robust, easy to use and efficient way to automate C2C interactions, with complete contact control for C2B dealer and lender services offers and receive life-saving recall alerts. Dealers now have a way to verify their entire inventory every day for safety recalls, dramatically reducing their risks They also gain efficient access to consumers; increased service revenue; and a means to break free from diluted, expensive and low close-ratio third party lead generators. Lenders are motivated to market AutoAp so they can ‘ring-fence’ existing member/customers to reduce member loan leakage; gain new member/customers and increase auto loan business. More than $700 billion in new and used vehicles sales occurs annually, with more than 60,000 car dealers, 13,000 lenders. Coupled with 175 million smart phones, a mobile marketplace, with a ‘mobile-first’ approach, is growing rapidly. The company raised seed capital (Jan. 2014) to develop and launch the consumer mobile app (June, 2014) and is raising Round 2 to ramp scaling. In late 2014, an acute dealership (B2B) market need was discovered that the company was in a unique position to capitalize on using a core-competency. Addressing this faster-to-scale opportunity has enabled the company to define, launch (Feb, 2015) and generate revenue from a second, cloud-based B2B service. 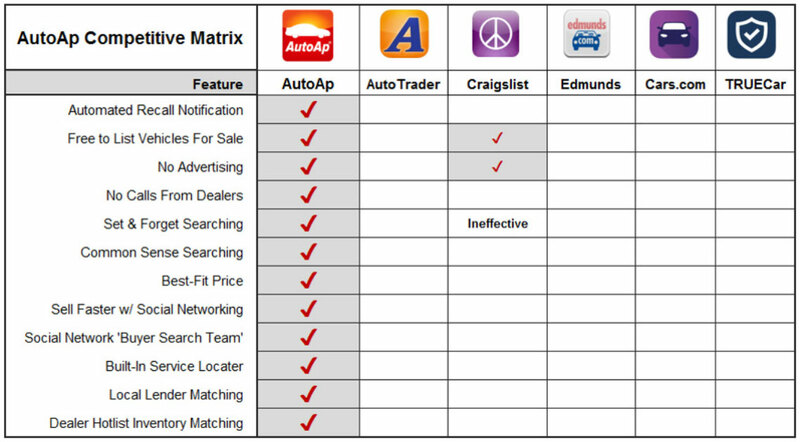 Mobile app: AutoAp’s disruptive solution automates best-fit matches between consumer Users and lenders/dealers and providing high-quality relationships with Partners. Dealer service: There are six competitors to AutoAp’s Dynamic Recall Managementsm service. All lack critical features that customers need to know the safety recall status of their inventory, every day: Corrected NHTSA & OEM data, Early Warning Alerts, Daily Updates, Automatic Verification, Easy-to-use Tool, Exception-based reporting, etc. And, none have safety recall data that is as accurate as AutoAp's. AutoAp’s Dynamic Recall Management (DRM) service is the first and only solution dealers can count on to reduce the number of vehicles with open safety recalls. DRM clients have achieved a reduction of vehicles with open safety recalls by more than 90%. AutoAp’s just-launched Dynamic Recall Managementsm service is already being sold nationally, with some dealers paying one and two years in advance. Capital will be primarily used to scale this service – into the $600 million market. Profits from DRM sales will then be used to scale consumer app loads and usage - into the $6 billion market. In addition to common stock, warrants are being offered. Example: if an Investor purchases 10,000 Common Stock Shares for $25,000, the Investor will also receive a Warrant to purchase an additional 10,000 Common Stock Shares for $12,500 ($1.25 each). AutoAp has previously raised $185,000 from 6 investors in this offering since August 5, 2014, before being offered on the FlashFunders platform. Please review the Term Sheet and Stock Purchase Agreement for specifics. Mark has over thirty years of executive level leadership experience - including 11 years at Global 500 companies, including Northrop Corporation, where he built a 250-person business unit in two years. 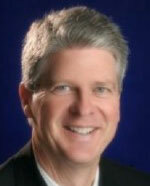 He also has 23 years of interim executive and business consulting. Mark has held several Interim executive assignments, from start-ups to a public company in CXO roles in several technology industries. One of these is Chrome Data Corporation which produces software for the automotive industry. Mark transformed the company from a one-product company (disk-based DOS program) to eight Windows and Web-based products and services, generating profits from the web in 1996. He has a degree in Physics and wrote “The Entrepreneur’s Survival Guide” used by thousands of business leaders to start and grow their companies as well as universities to teach entrepreneurship. He holds Patent # 4,631,583. Ross owned an automotive consulting firm that assisted clients with competitive market analysis and strategic planning. In July, 2001, along with five veteran automotive entrepreneurs, co-founded ATMARKET, Inc., to integrate the $24 billion dollar specialty equipment aftermarket into the franchised new car retail showroom through an OEM-like product certification and data management platform. Ross has held senior management positions in marketing, sales and business development at Chrome Data Corporation, an automotive data and configuration pioneer, where he was responsible for marketing during the launch of seven software products, platform migrations from DOS to Windows to the Internet, and the formation of Chrome.com - the company’s b2b e-commerce initiative. Ross has spoken nationally and internationally on a variety of e-commerce related topics. His bachelor’s degree in Sociology, with departmental honors, is from the University of Puget Sound and holds United States Patent # 5,167,575. James W Cruckshank is the Principal of consulting cfo llc. He was the Interim Chief Executive Officer at Monsoon Commerce. Previously, he joined Monsoon as Chief Financial Officer. Previously, he was the Senior Vice President and Chief Accounting Officer at The Greenbrier Companies, Inc., a NYSE-listed company with nearly $2 billion in revenue. Jim has over 30 years of accounting and finance experience across various industries such as shipping, real estate, retail, construction, manufacturing and technology. Mr. Cruckshank is knowledgeable in IPO's, debt and equity financing, acquisitions and divestitures, post-acquisition integration, SEC and financial reporting, investor relations, internal controls, business plan development, financial modeling, and systems implementations. He has served as the Vice President and Chief Financial Officer at MathStar Inc.; Vice President and Chief Financial Officer of Synetic Solutions, Inc., and Vice President Finance at Christenson Electric, a US-based electrical contractors. Bob is a Managing Director and heads the Los Angeles office of Noble Financial Capital Markets, an East Coast based, research oriented Investment bank. 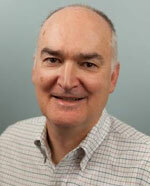 Bob brings to Noble more than 28 years of progressively senior investment banking experience. Throughout his career, Mr. Campbell has focused on capital formation in both private and public markets, merger and acquisition representation, and a variety of financial advisory services. He obtained his Masters of Business Administration from UCLA Anderson School of Management and holds his Series 7, 59 and 63 FINRA securities licenses. 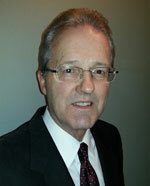 Bob began his financial services career in 1978 with the accounting firm of Peat, Marwick, Mitchell & Co. (now KPMG). From 1982 to 1995, he was a Senior Vice President of Corporate Finance with the Seidler Companies, a Los Angeles based investment bank and brokerage firm. From 1995 to 2003, Mr. Campbell was a Managing Director of Corporate Finance with L.H. Friend, Weinress, Frankson & Presson. 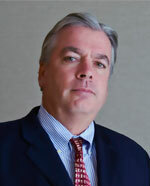 Mr. Campbell joined B. Riley & Co. in 2003 as part of the firm's merger with L.H. Friend. He was the Chairman of the Audit Committee for a $200 million revenue Nasdaq listed company for over 15 years. Bob DeKoning has a successful 36 year business career with strategic management experience; 17 years in the role of President and CEO. Previously as SVP and GM had P&L responsibility in companies as large as $4.0 billion and as small as $650 K. Served national business sectors as diverse as: automotive, health care, retail, entertainment, information technology and environmental services. Bob has Senior Executive leadership experience in public and private companies and is adept at driving and directing exponential revenue growth at emerging technology businesses with a strong bottom line orientation. 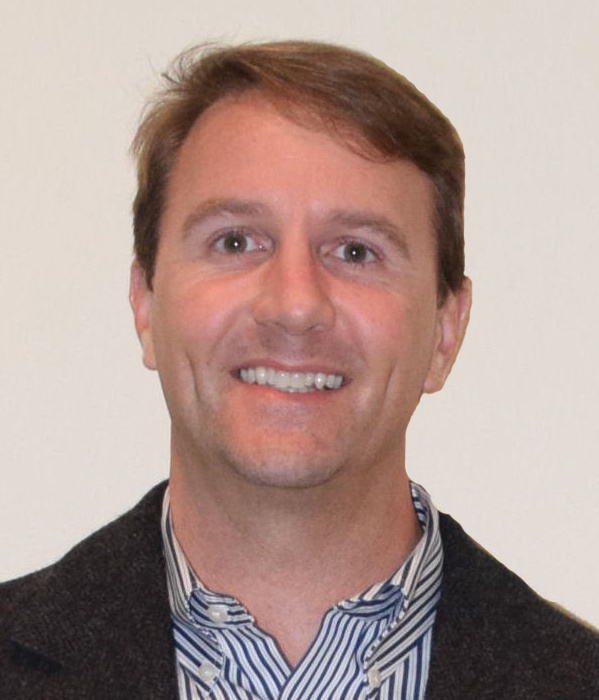 He has raised $16 million in Venture Capital toward an IPO event; raised millions in debt financing and private equity investments and more than $6 million in local Angel fundraising efforts. He has a passion for strategic product marketing, engineering product development, scalable sales growth and driving operating efficiencies. He enjoys interacting collaboratively with customers, vendors and associates. Bob has enjoyed considerable career success in taking emerging technology companies with less than $1.0 million in revenue and rapidly growing them to $4.8 million to $24 million in revenues (ADP, Unicru and Routeware) in less than 5 years. Moreover, has worked in top management positions in larger corporations while more than doubling revenues in less than 4 years (Rentrak, Tactix). Mr. Lancaster is a highly successful, innovative and knowledgeable executive. After four decades, his entrepreneurial career culminated in the sale of his Lexus and Toyota dealerships to a Fortune 500 public company. Jon is a frequent guest panelist at national and international automotive industry conferences due to his broad-based technical understanding of the industry and how it fits into the global economy. Throughout his career, he has founded, purchased, operated, and sold several domestic and import dealerships. In addition to his personal investments, Jon extends his expertise by serving on a bank board and a holding company bank board. Jon graduated with a BBA from the University of Northern Iowa. Dave has over 40 year’s high technology experience in various senior management roles in both Fortune 500 and start-up situations. His skills and experience include general management, business development, mergers and acquisitions, strategic planning, professional services, data services and mentoring. The experience is both domestic and international. Mark has nearly thirty years’ experience as a sales and marketing executive in the auto and heavy truck industry, recently retiring from Chrysler Corporation after 27 years. Mark held management positions covering virtually all areas of the sales and marketing division, including sales, service, parts, lease and rental and customer relations. For nearly 13 years, he was responsible for all Market Representation and M&A activities covering a five state area for Chrysler, for 158 dealerships. 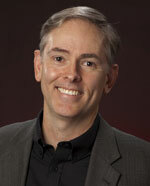 Mark earned his bachelor’s degree in Business Administration from Oregon State University. 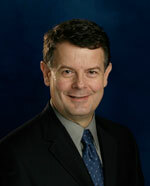 Steve is the Executive Director of the Oregon Technology Business Center. He is a veteran of three start- ups, and has more than 25 years of management experience in the software, service, and semiconductor test industries at companies such as Hewlett Packard, Integrated Measurement Systems, Cadence Design Systems, Mentor Graphics, Credence Corporation and Teseda Corporation. He serves on the Workforce Innovation Board and as an Ex Officio member of the Board of Directors of the Software Association of Oregon. He holds a B.A. in mathematics from Reed College and a Masters of Science degree from Carnegie-Mellon University Graduate School of Industrial Administration (now The Tepper School of Business). John is a business advisor who helps owners and principals build companies by bringing in best practices that are needed to achieve growth. John helps companies improve key functional areas including Leadership, Strategy, Finance, Sales, Marketing, Technology, Human Resources, and Operations. Prior to his business advisor practice, John was the co-founder and CEO of Employment Trends, a highly respected staffing services company in Portland Oregon. John led the company to $14M in sales and sold it on record earnings. The company was listed on the Inc. 500 and the #1 Best ￼￼Company to Work for in Oregon. John holds a bachelor’s degree with Honors in Quantitative Economics/Decision Science from the University of California, San Diego. Manoj Garg is a founder and Managing Partner of Virtual Information Executives, LLC (VIE) and has over 25 years of senior executive leadership skills and technology management experience with domestic and international operations. Manoj's prior experience includes executive roles in Large Scale Technology Infrastructure Management, Outsourcing Management, Information Security Management, Program Management and Enterprise Resource Planning. He has significant outsourcing experience and has delivered successful projects in many overseas locations including Brazil, Argentina, Egypt, Australia, India and China. 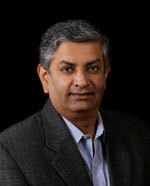 Manoj has earned an MBA specializing in Finance and ￼Entrepreneurship from University of Rochester, an MS in Computer Science from University of Pittsburgh and a B. Tech. in Electrical Engineering from the Indian Institute of Technology, Bombay, India. 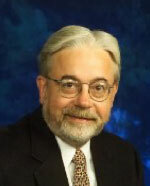 He serves on numerous advisory boards. What is AutoAp’s long-term vision? The long-term vision is for AutoAp to be an “ownership app”, providing consumers with a solution that meets their on-going auto-related needs – from searching – to purchase – to sale. It will provide the missing ingredients between the ‘connected-car’ and the ‘connected person’. Currently, AutoAp is a peer-to-peer, mobile-first app that automatically matches private-party buyers and sellers of used vehicles. AutoAp gives consumers control while still enabling dealers, lenders and other service providers to tap into and profit from the fragmented private party marketplace. The first step along the ownership-app solution is providing consumers with vehicle safety recall alerts – with the most accurate recall information available. AutoAp is unique in several ways: AutoAp offers a unique environment for consumers, lenders, dealers and others in the automotive industry to ‘play nicely’ together. For consumers, this means no ads or calls from dealers. For lenders, this means better matching for ‘best-fit’ borrowers. And for dealers, this means in-bound consumers calling / emailing them because they’ve decided to make appointments (sales, service, vehicle acquisition). This approach yields significantly-higher close-ratios. Interactions are initiated through the app in a much more user-friendly, consumer-in-control way – that benefits lenders and dealers. And when the complete ownership app features are integrated, AutoAp will even more unique in the marketplace. Why will this management team win? In addition to the Executive Team’s “IT for Automotive” experience, AutoAp’s extended team has deep knowledge and relationships within the lending and auto industries. (Bios are available elsewhere.) In addition to several auto industry executives on AutoAp’s Board of Advisors, David Nathanson (Price Waterhouse, motomindz and QMA-AMI Management) is an extremely well thought of automotive industry expert and is a member of AutoAp’s Industry Advisory Group. Jon Lancaster is recognized by automotive industry experts as a highly successful, innovative and knowledgeable executive. After four decades, his entrepreneurial career culminated in the sale of his Lexus and Toyota dealerships to a Fortune 500 public company. Jon is a frequent guest panelist at national and international automotive industry conferences due to his broad-based technical understanding of the industry and how it fits into the global economy. Throughout his career, he has founded, purchased, operated, and sold several domestic and import dealerships. Jon graduated with a BBA from the University of Northern Iowa. Why did prior investors decide to support AutoAp? Why we believe AutoAp will be acquired: In the mid-1990s, before the dot-bomb, several of the large dealer management system (DMS) companies started funding and acquiring smaller companies who ‘figured out the web’. As a result, they started paying premium prices for entry into online marketing and solutions. The same thing is likely to occur with mobile within the next two to three years. At the moment, leading edge thinkers are ‘appifying’ their websites and adding a few mobile features, like “geo-locate the nearest dealer”. As companies start recognizing the power of person-to-person (i.e., ubiquitous) computing, networking, geo-location and social networking, companies like AutoAp – who are integrating these latest technologies – will become acquisition targets. What does buying/selling have to do with vehicle safety recalls? For Consumers No other solution ties buying / selling and recalls together in a dynamic way: So buyers can see if a truck they’re considering has been recalled. Or if a seller wants to fix a recall before putting it on the market. No other solution ‘bakes in’ dealers’ service department contact information, so that consumers can contact dealers* – from within the app – to confirm the recall and/or schedule appointments to bring in the vehicles for repair: High-tech meets high-touch. Car manufacturers often find it difficult to notify people about their vehicle safety recalls. People move, sell their vehicle to someone else: manufacturers have difficulty tracking them down. Additionally, manufacturers are only worried about their safety recalls. Not other brands. Families have cars and trucks made by different manufacturers and need to be assured they know if the airbags in all their vehicles will shoot out shrapnel into their passengers’ faces. The NHTSA’s VIN-checking requires people to check every single day to see if their vehicles have been recalled. Or they can sign up for notifications – using a Year / Make solution that is ineffective and does not drill down to model-level, sending mostly false-positives. Worse, NHTSA’s recall database has errors** – that AutoAp found and is correcting. AutoAp has the most-accurate recall data in the country. * Currently available in the Portland-metro area. Round 2 capital will enable us to expand our reach. ** The national repository for vehicle safety recalls is the National Highway Traffic Safety Administration. While integrating their recall data into AutoAp, we uncovered that up to 30% of the data are erroneous. Many vehicles they identified did not exist because the wrong make, model or year was listed or typos existed. For Dealers AutoAp provides a way for dealers to be integrated within an app that directly connects with consumers in a user-friendly, consumer-in-control manner. AutoAp will help smartphones become the remote control for real life – when it comes to the automobile ownership experience. * This new service is in development, is highly sensitive and not discussed herein. In fact, many new features and solutions are envisioned and can be discussed during due-diligence. AutoAp is a high-growth opportunity (not a ‘life-style company’). We would be pleased to share our financials during due diligence. Enter your name and email, and we’ll let AutoAp know you’d like an introduction. You will now receive updates for AutoAp.